You can hear our whole new album today!!! It’s a crazy mix of emotions to have a whole new album out in the world—a little vulnerable but mostly exciting and invigorating. 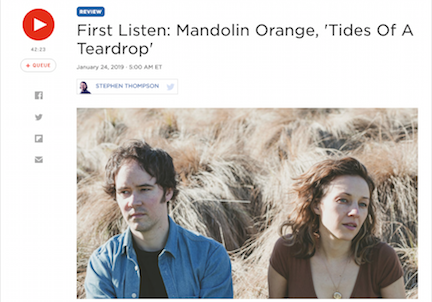 Head over to NPR Music First Listen and stream away. Tides Of A Teardrop Available Now!!! New track today + Ryman show!! !